The Business & IP Centre (BIPC) at the British Library is a fantastic resource for innovative businesses. This article by Irini Efthimiadou and Seema Rampersad outlines how the BIPC can help your business and showcases their support for female innovators. What is business innovation? For businesses, innovation means implementing new ideas to create better products and services, more effective and efficient processes, or new markets. Making innovative ideas happen isn’t just about inventing something new. It can also mean adapting to changes in the business environment to deliver better products and services, or changing the business model. networking events where like-minded businesses can meet and interact. The Centre supports the business community with a whole myriad of services, consultations, discussions and inspiration. Over the years, we’ve run networking events with leading female entrepreneurs, from Anita Roddick, founder of the Body Shop, to – more recently – designer Orla Keily. We host creative social events such as a Fashion LATE with Central St Martin’s that showcase the Library’s wonderful items to foster creativity and innovative designs. The Centre has a physical ‘showcase’ selection of inventions from businesses that used our services, such as Mandy Haberman’s Anywayup Cup and Birgitte Lydum’s Baby Beamers. But, implementing innovative ideas does not necessarily mean inventing something new. It can also mean adapting to changes in the business environment; delivering better processes, products or services; entering new markets; or changing the business model. One specific activity of the Business & IP Centre is the Innovating for Growth project, which provides high quality business and intellectual property advice and support services to help existing small businesses in London to innovate and grow. ‘Innovating for Growth’, which is part-funded by European Regional Development Fund, has been running for just over a year, with 93 London-based businesses assisted until now and 36 jobs created, 7 of which are innovation-related jobs. Forty of those businesses (43% of the total) are owned by women. In addition, around half of the jobs created and most of the innovation-related jobs have been taken by women. There are various success stories of women-owned businesses that have benefited from using the Business & IP Centre’s collections, workshops, events and advice sessions. One success story is Cate Trotter, founder and Head of Trends at Insider Trends. 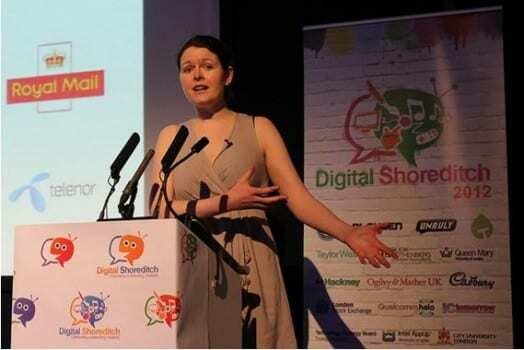 Cate set up “Insider Trends” in 2008, a trend and inspiration consultancy for businesses. ‘Insider Trends’ specialise in giving first-hand experience on trends in action. Their clients include Philips, Nokia, Marks & Spencer, Absolut Vodka and American Express. Cate is a regular speaker at the British Library, devising and delivering 90-minute presentations on key trends affecting specific industries. She regularly uses the vast selection of reports and databases available at the Business & IP Centre to search for market information and trends and to keep up to date with what is happening in various industries. Cate has also benefited from the ‘Innovating for Growth’ project. During her time in ‘Innovating for Growth’ she received advice and support for creating organised structures and processes to empower her team and help her replicate her business model in other locations. Another successful example of a woman-owned business supported by “Innovating for Growth” is First Aid for Life, established in 2006 by Emma Hammett. 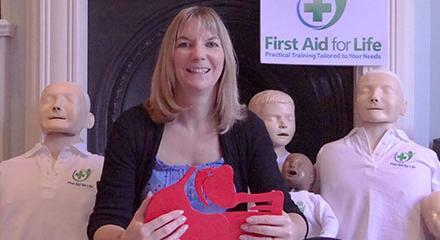 Emma’s business provides practical first aid training for groups and individuals. Her growth idea is to provide online training courses, both nationally and internationally. ‘Innovating for Growth’ assisted Emma in identifying and evaluating a business strategy that would help her business grow and be less dependent on her. As part of the support she received, her online training courses are in the process of being accredited through Ofqual and she will be launching them shortly. As a result of her time on “Innovating for Growth”, she has created 6 new part time jobs. She is in the process of recruiting more staff as the business is growing very fast and may look for new premises in the future. Well done to Emma from First Aid for Life – Everyone should learn Paediatric First Aid!